A few weeks ago, before the craziness of finals hit, I had the opportunity to try out my first ever facial with Red and White Salon in Midtown Manhattan! I was so excited when they reached out to me- skincare has become a huge part of my daily life and I love learning more about it. A few Instagram followers left some questions for me about the treatment so I will do my best to answer those too! 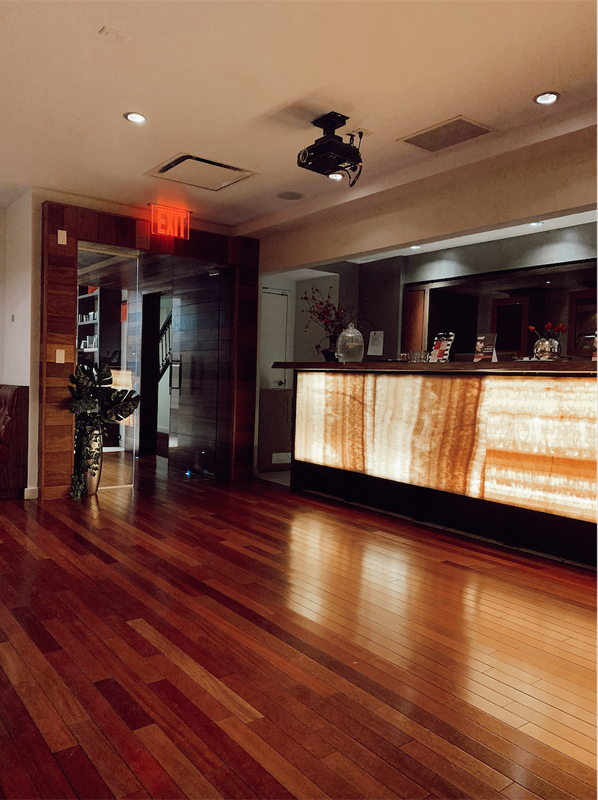 The spa is located in Midtown on W 56th street between 5th and 6th ave. It’s an easy walk from Columbus Circle so you can even check out Central Park and the Time Warner Center on your way in! The spa has a very rustic, warm vibe that is a nice escape from the hustle and bustle of the city. Since it was my first facial, my aesthetician Karina walked me through a lot of the basics. My skin is neither oily or dry, it’s considered a very “normal” mixture of both, although it can be very sensitive to products! I received the Signature European Facial, which is priced at $120 for 50 minutes. Inside the treatment room I laid under cozy sheets and a blanket and wrapped up my hair so it wouldn’t get any chemicals on it. The first part of the facial focused on steaming the face to keep everything moist and bring impurities to the surface. This part felt so good! After my pores were opened up, Karina used several different products on my face to cleanse the skin and dig deep into any problem areas. She placed pressure in a lot of my breakout zones to bring blackheads to the surface and get rid of them. The coolest part of the facial was definitely the mask- once it was smoothed onto my face, the gel mask hardened and could be removed in one piece. Karina showed me the residue that had been removed from my face- as gross as this is, so much dead skin came off on the mask. It seriously felt amazing! Now that more pores were open and my face was clean, it was time to close the pores back up to prevent breakout. This was done using a small device that generates electricity and heat, almost “zapping” spots on the skin. The facial was finished off with a few serums that left my skin feeling so soft and smooth- it still feels amazing weeks later! I learned it’s best to avoid makeup for a minimum of a few hours following a facial so your skin can really breathe. Karina also suggested getting facials once every three months, and mentioned that regular facial appointments should begin around age 25. 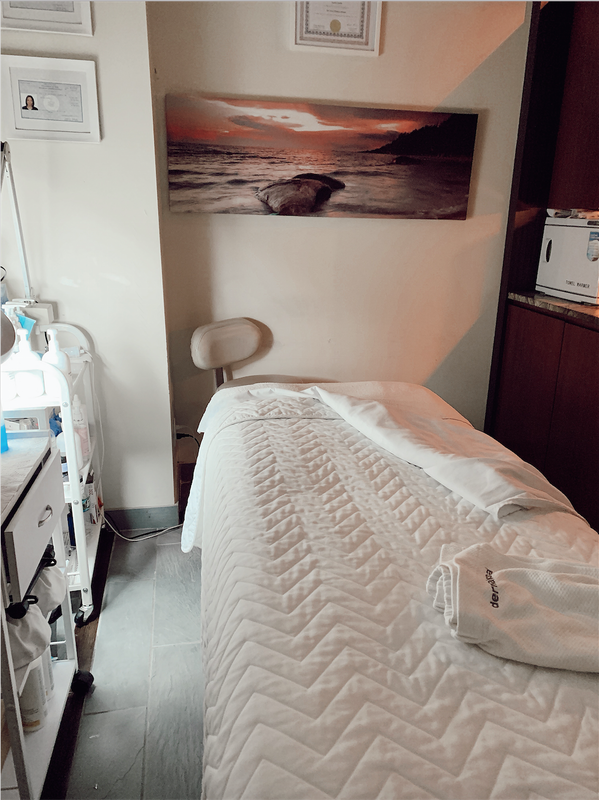 I also spent some time speaking with the receptionists who told me many people assume things like facials and massages are simply for luxury, but they are actually so important for your health! Getting a facial is very preventative and will make your skin look better overall in the future. The #1 thing I learned from my facial treatment is the importance of exfoliating, which I have been really bad about! With your regular cleansing and moisturizing routine, it’s great to add an exfoliant because this removes dead skin and works out the black heads. Definitely something I’m adding to my routine! I loved getting to try out this facial and definitely hope to go back soon! 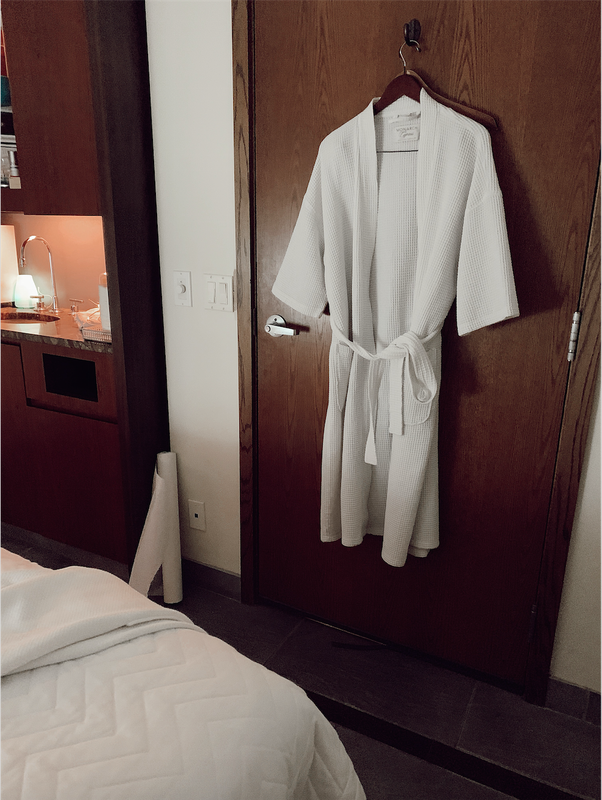 If you’re looking to try out a spa in NYC, mention my name at Red and White and receive 40% off when booking any service (they also do lash extensions, mani/pedis, massages, and more)!